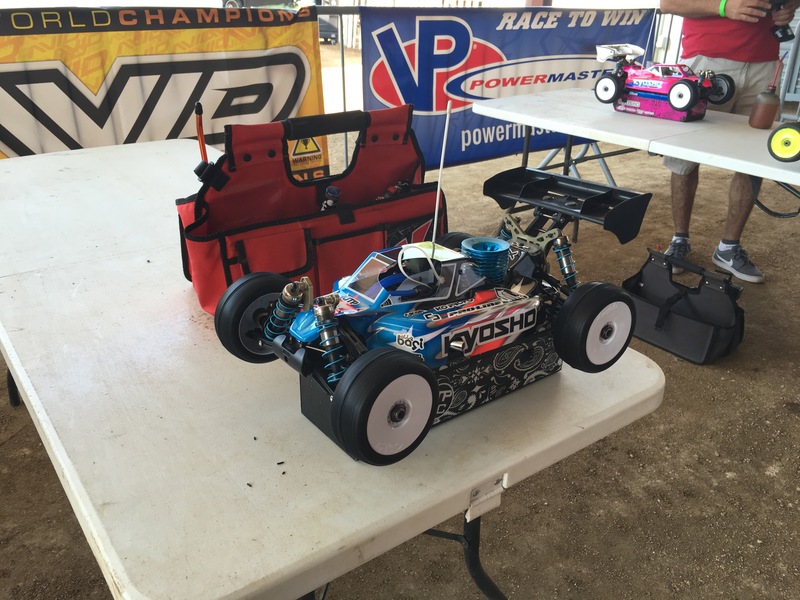 This past weekend was the 2016 ROAR 1/8 Fuel Off-Road National Championships, held in Hutto, TX at Thornhill Race Circuit. We were here racing this same event in 2014, but the venue has seen many updates, the biggest, adding a roof over the track. I was very impressed with all the work that has been done, and I was very happy to be racing there. Flew in Tuesday afternoon and sorted out the pit spaces and checked out the track. 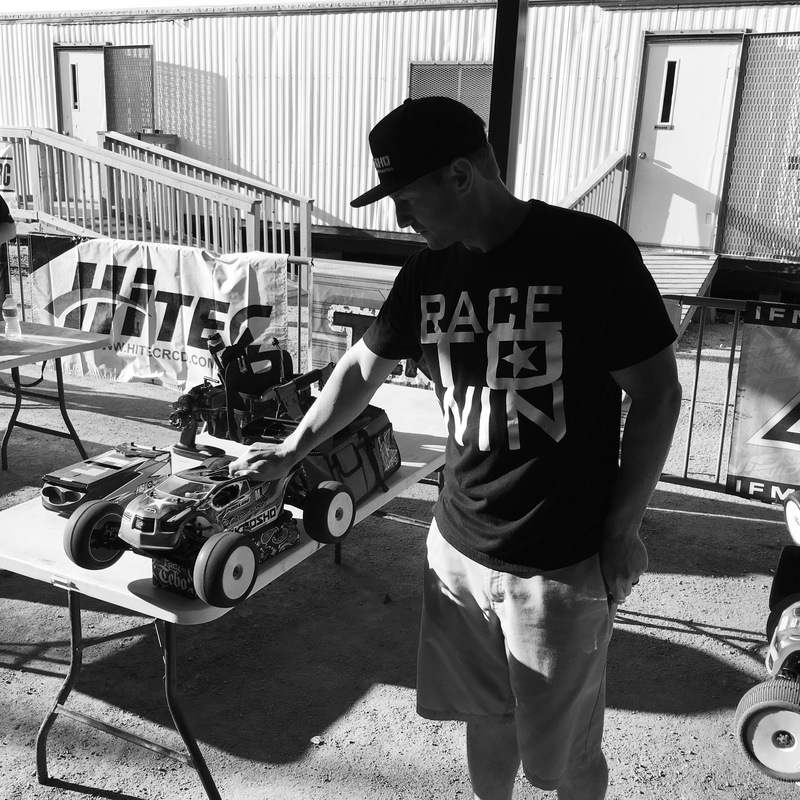 Joey C from The Dirt Racing build the track, and he build the track here in 2014 as well. The layout looked fun, but it also looked like the racing would be close and the track would be very very fast, which seems to be the new “black”. Wednesday would be the first day of on track fun, a full day of open practice. The track started out with pretty good traction, and the dirt being wet. It was packed in, and it started to dry out and groove up, but as it dried out, it became polished. The track had a really nice black groove look, but it was getting slicker and slicker as the day wore on. 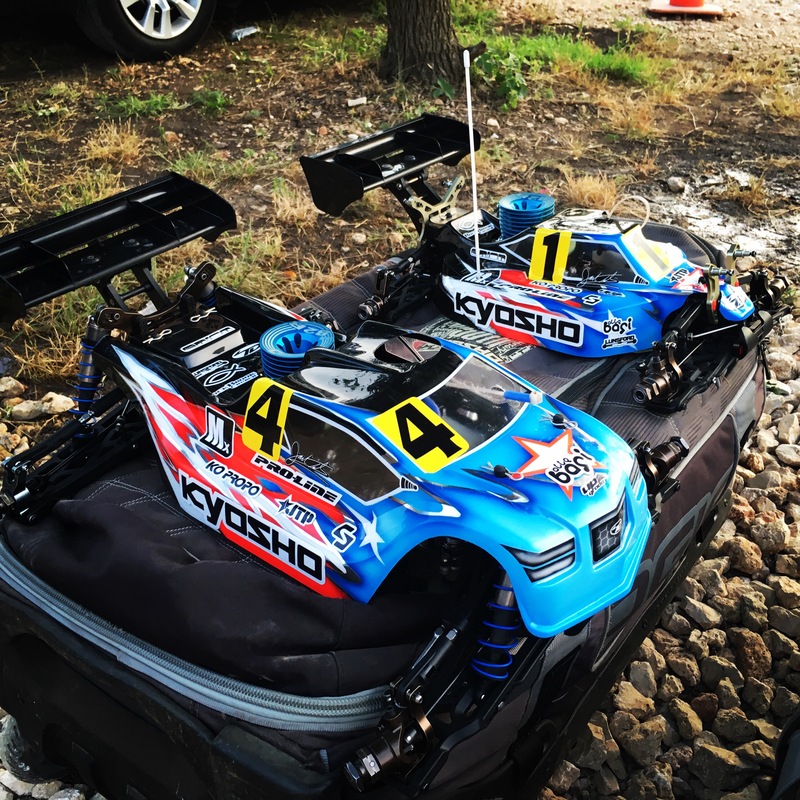 My setups that I came with on my cars were working great, and I was really happy after the first day of practice. Thursday we would have some open practice early, then have two timed rounds for seeding. The practice’s would be running just like a qualifier, but only your best 3 consecutive laps would be used to seed you into the qualifiers. I seemed to be one of the fastest drivers and was excited to get on the clock. Lap times were very close, and the 3 lap times were close too. The heats were just random, so lap traffic was a HUGE issue in seeding. The first Truggy seeding I was fast and was 5th, but I forgot to trim my wing plates down a little, so my wing didn’t pass tech, and my run would be disqualified. The second round I ran really good again, and had a top 3 pace for P2, but the track was slower, as it got slick, so I seeded 8th. Buggy P1 I had CRAZY traffic issues and didn’t get 3 good laps in a row, seeding 19th. For P2 I managed to somewhat have some clean laps, despite passing cars every lap during the 7 minute practice. I would have a great time for P2, but like Truggy, the track was slower, so I seeded 6th. Practice was off to a great start and I was feeling very confident. My car’s were good, my setups were awesome, so no changes needed. Friday was here, and we would have Q1 and Q2, with the similar speed drivers placed in the correct heats after practice. Truggy would be up first. I had been putting in quite a bit of work at home, modifying the older design on the STRR and It was feeling better than it ever has before. I had great pace and ran top 3 for most of the heat, but I made a bobble right at the end, dropping me to 6th. I was happy with the pace, but not with the mistake. That seems to be a bad trend with me lately….fast, but struggling to stay focused for an entire run, loosing a little bit of concentration and making silly mistakes that I shouldn’t make. Buggy was next and my car was PERFECT. I started out a little slow, but was gaining speed every lap and getting closer to the leader, Maifield, who was the favorite after practice. I finished off strong, missing TQ by .2 of a second. I ran both my cars with Proline M3 Holeshots in Q1, but with the ever-changing track, I wasn’t sure what I would run come Q2. I decided to change tires for Q2, and it didn’t help. Truggy I ran a new test compound PL brought, in the Holeshot. The overall grip just wasn’t there and I struggled some, getting another 6th. Buggy, I went with a M3 Fugitive, and I don’t think it was the right tire either. My car wasn’t bad, but I just didn’t have the aggressive grip I was wanting, and I made mistakes, finishing 8th. Final day of qualifying, I had two decent runs in both classes, but I wanted to focus on clean runs and getting better starting positions. 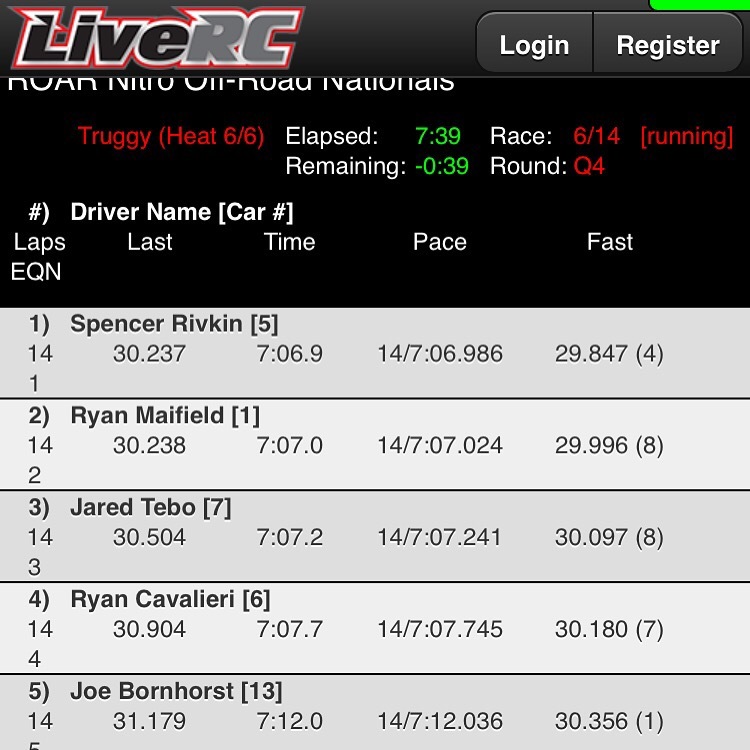 Q3 of Truggy I went back to M3 Holeshots and had good speed again. I finally put a clean qualifier together and got 3rd for the round. Buggy I ran the same tire combo and had good speed also. Maifield was faster, but I was the next best, getting another 2nd. The final round was here, I needed a clean run in Truggy to get a good starting position. The final qualifier would be an awesome race. Maifield, Rivkin, Cavalieri, and myself were in a heated battle on the clock the entire run, all finishing within .8 of a second. I was leading going into the final lap, but ended up 3rd, .3 behind TQ. I would qualify 4th overall with Q3 3rd, and Q4 3rd. Buggy I would not have the fast pace I had previous and get a 6th. With my Q1 2nd and Q3 2nd, I would qualify 2nd overall and get a pole position starting spot for a Semi on Sunday. Sunday would be only the mains. I did a bunch of my wrenching work Saturday and would have my cars ready to go nice and early to prepare for the warm ups. The track was getting more slick, looking very black, and much more dry than previous days. In the Truggy warm up, I would run Holeshots with a new compound, and my truck felt pretty good. I was not having the grip I wanted, but my balance felt good. Buggy practice was terrible as I didn’t feel comfortable at all, and didn’t have great speed. The Truggy Main final would run before the Buggy Semi Finals. I was starting 4th and had realistic goals of getting a podium. I wanted to get a good start and keep pace with the front and focus on no mistakes. I got a good start and was keeping pace pretty well. The lead pace was super fast and we were all very close, with very few mistakes happening. I was in a great fight with Ryan Lutz for 3rd for a good portion of the race, with Maifield leading and Rivkin in 2nd. We both had 3rd quite a few times, but around 20 minutes into the 45 minute final, I could feel some of my drive going away. 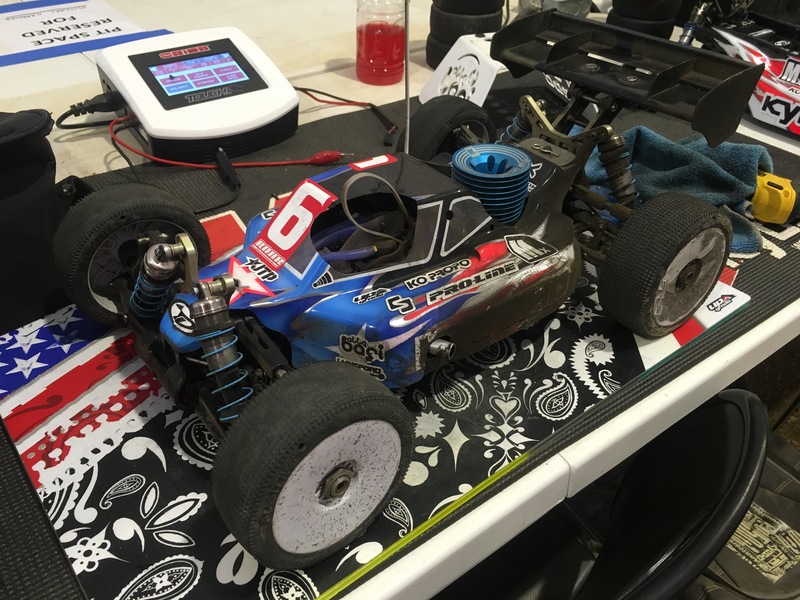 I cased and crashed two times on the center double, and went from 3rd to 6th, and I knew I had an issue. I drove around another 10-15 minutes before the rear end finally gave out. I haven’t had that issue in a very long time, I was not concerned about it at all before the main. I should have replaced the gears, but I thought everything was fine. I did catch a spike holding a pipe in the track during a qualifier, caught it right on the front of the rear arm. I’m thinking maybe it tweaked the rear bulkhead and then the diff shimming was a little off. Really bummed with a DNF. 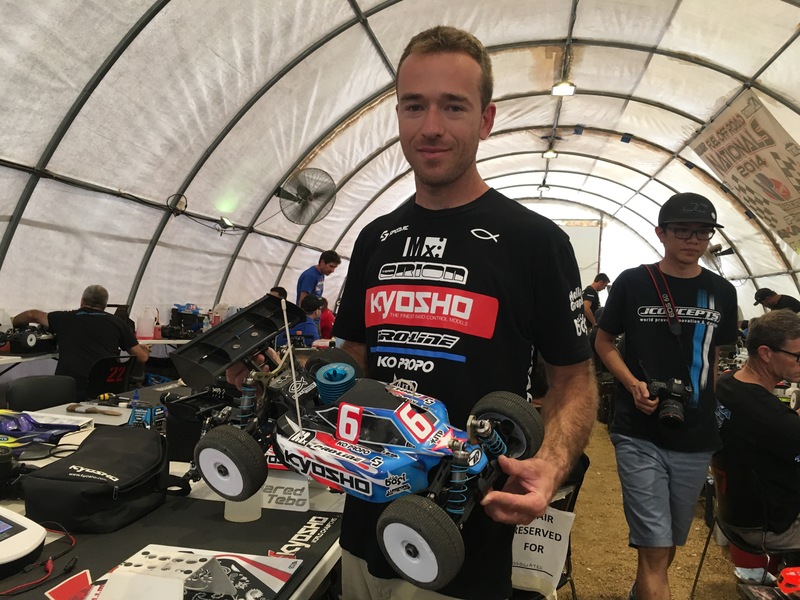 Buggy Semi: I started 1st, but I knew my pace wasn’t great and I wasn’t feeling comfortable. I had a good start and was just trying to focus on me, running a clean race, and trying to get the best starting position possible for the final. I was driving really good and lead the first half of the 30 minute Semi. I was not the fastest, not even close, but I was driving smarter and better than the guys behind me. I couldn’t hold them off forever though, and dropped to 3rd. The final 5 minutes my pace really dropped off, but I remained in 3rd. My time wasn’t too great, and your main final starting position is based on your Semi time, Maifield would get pole as he TQed and didn’t have to run a Semi. My time would put me starting 6th. Buggy Main: After feeling how much my tires went off in the semi, I made a tire change to M3 Fugitives, and I think that was my best decision I could have made. The pace was super fast at the start, and I was feeling some understeer with new tires, so I had to push hard and crashed twice early in the race, dropping me back to around 10th. The final was 1 hour, so pit strategies were all over the map, you can pit 7:30, 8:30, or 10. Most were going 7:30, I was going 8:30 and Tessman going 10, which is strange, he is not normally a good fuel mileage driver. After the first stop I could see where I would be after my early mistakes and started to get back in a groove. I ran in 7th for most of the race, trying to catch the battle for 5th between Lutz and King. Around halfway, I actually got lapped by the leader Rivkin, but then my tires got to the perfect wear and perfect temperature, and my grip was AMAZING. I got back onto the lead lap during some fuel stops and actually pulled away and caught the battle for 5th. I battled with King for a while and was finally able to make the pass, but I wouldn’t get in front of Lutz. The last 10 minutes the leaders were with me again, and with our fuel stops being at different times, I kept having to give them room and let them pass, then they would pit, and I would be in front of them again. I lost a TON of time in all this and Lutz got away from me. I finished 6th, really bummed on the result, but I have no regrets. I made good decisions all week-long, I had my setup and tires correct for the main conditions, and I drove good. Thanks to Joe Pillars, and the Gardner’s for the pit help, all my fans, my amazing family, Kyosho, MX racing, Team Orion, Proline, KO Propo, Speed RC, JTP, Upgrade-RC, TD Paint, Lunsford, LiveRC.com, Rock Brook Church, and the Good Lord Jesus Christ! Now that the ROAR 1/8 Nats are over, it’s all 1/10 mode for the Hot Rod Shootout and ROAR 1/10 Nats. Thanks for reading, and God Bless! It was an exciting week to say the least. You can’t ask yourself to give anymore than your best!…..so nice job! 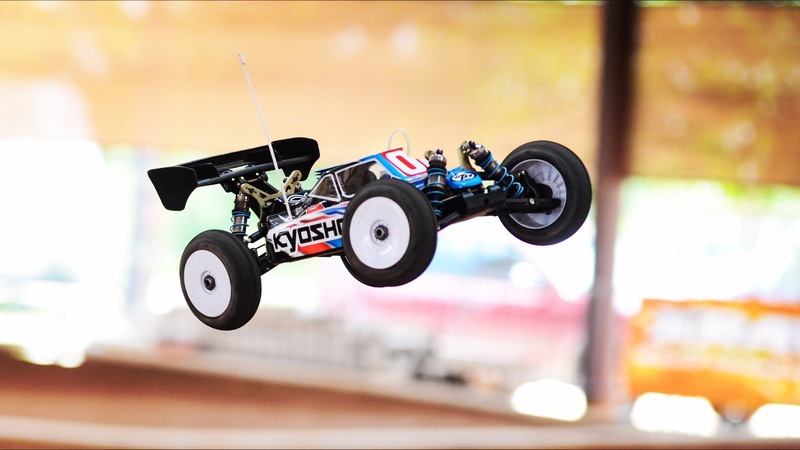 Will you be publishing your buggy set up soon?